Each document is available in two formats: in PDF, for if you simply want to print them, and in ODT, for if you want to modify them or copy bits out of them using LibreOffice. In my courses at UvA Talen, where I have the liberty to set the textbooks and syllabi, we use Bite-Size Arabic for Arabic 1 (along with supplemental materials). 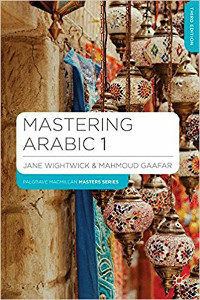 For the two follow-up courses we use Mastering Arabic 1. For Arabic 2 we cover units 4 through 13, and for Arabic 3 we cover units 14 through 20.